“They are not all that way,” she explained. “The predators are fewer in number, but they feed off the masses. They manipulate the masses whatever way they want them to go. They have their own food chain. Like Jag is considered to be a creature at the top of our food chain. There is always someone at the top of the food chain, and those under them. But way towards the bottom are the ones being fed on. So these people are always scrambling not to be at the bottom. It is a jungle of their own making. But I hear there are also those like us. Those who only desire to live peaceful lives and do no harm, in a world of predators. “This road… why does it come here?” he asked. I can’t believe its been 2 months since my last entry already, and during that time many good things and much progress has been made. The purpose of this blog site is now two-fold. 1.) It is historical information concerning church history and how we left a “Table relationship” which Christ established, and returned to more of a “Temple relationship”, a relationship I decided I would do my best to leave, and thus was created “Fellowship of the White Path”, a church different. This site is a record of my personal journey to this discovery if you are industrious enough to study it for yourself. The articles are already written, plenty of them, and I do not need to write more. One must simply be willing to dig deeper into this site. But the journey with the Teepee continues, and I will occasionally give updates. 2.) Since the history is already written, and those who want to really know the truth about “Temple or Table” will be willing to search, I have recently been inspired to simply share short excerpts from my journals. I constantly journal. These will simply be spiritual and philosophical type thoughts that I feel worth sharing. So…perhaps it is “3” fold. 1.) Historical records and personal journey already written. 2.) 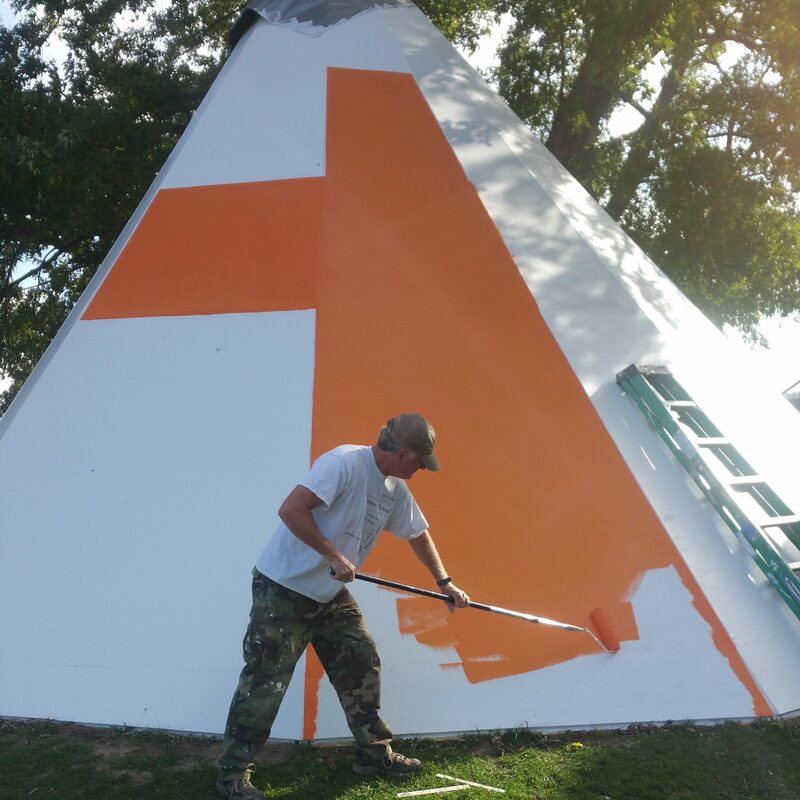 Quick updates as to the progress of Teepee and spiritual retreat. 3.) Thoughts from the journals of Grandpa White Feather. What is the least amount we can be the most happy with? (This question, this thought occurred to me today, worded in just this way.) That amount is worth fighting for. But there is the “Law of Diminishing Return”, and most people fail to heed the wisdom of that Law. What is the least amount that makes me the most happy? Where is my level of contentment? Am I ever simply content? With God, less becomes more. Poverty becomes rich. Jesus told a rich church they were actually poor, and ready to be spewed out of his mouth. He also told a poor church they were actually rich. God’s Word says godliness with contentment is great gain. I spent 2 weeks actually living in the Teepee as very bad November weather rushed in. We even had fifty mile an hour winds one day! But we now have a working wood stove. The bedroom chamber has made progress with floor laid and a swinging hatch door on inside wall to enter it, but I did fail to get it ready soon enough. It’s still not able to be used. And without a nice warm sleeping place, two weeks in the Teepee was enough for now. I came home to the city house and cut it in half! It’s not a big house to begin with, but with a little innovation, I saw I could save on our utility bills by creating a Murphy bed in our living room. This was an interesting challenge. It’s been very successful. And now I can slowly turn the back half of house into a studio apartment. Completion of this project is way down the road, but for now, just saving on utilities is a big blessing, and I’m actually really enjoying the new set-up. I end with pictures of teepee and house; and yes, the pictures will fall off the shelves if I don’t remove them before lowering bed, but it only takes like one minute, and since I’m retired now, it’s certainly not a problem.